Easily one of the greatest new funk records of the 21st Century – and a set that goes way beyond some of the cliches that are currently gripping others in the deep funk underground! 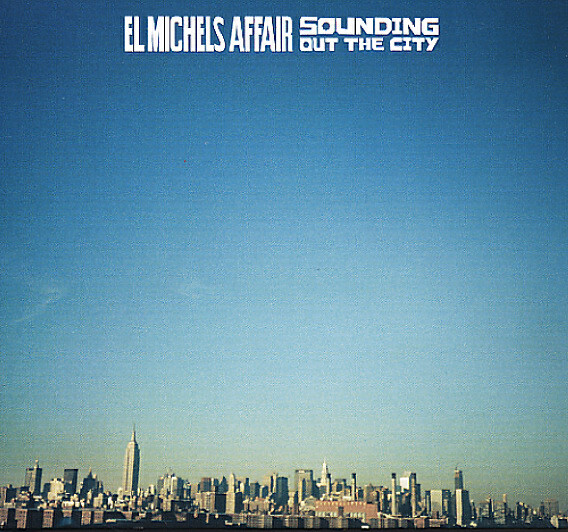 El Michels Affair have a cool, easygoing style to their music – one that's as much 70s jazz as it is 60s funk – and which makes for tunes that have a looser structure overall, which allows much more room for instrumental interplay, and the kind of sweet surprises that make the album so great! These guys have a real penchant for an unusual rhythm and interesting instrumental flair – and they borrow as much from 70s soundtracks and Latin albums as they do from the funky 45 era that clearly gave them their start. Totally fresh all the way through, and a record that delights us a lot more than we might have expected! Titles include "Detroit Twice", "El Pueblo Unido", "Behind The Blue Curtains", "Ocho Rios", "Hung Up On My Baby", "This Song's For You", and "Slide Show". © 1996-2019, Dusty Groove, Inc.